I’ll admit, I’ve never been the biggest fan of fighting games . I think the last fighting game I played was Soul Calibur IV back on the 360. It’s probably got a lot to do with the fact that I’m just not very good at them. However, I couldn’t resist purchasing Street Fighter V today when I came across a brilliant deal on Amazon.com. 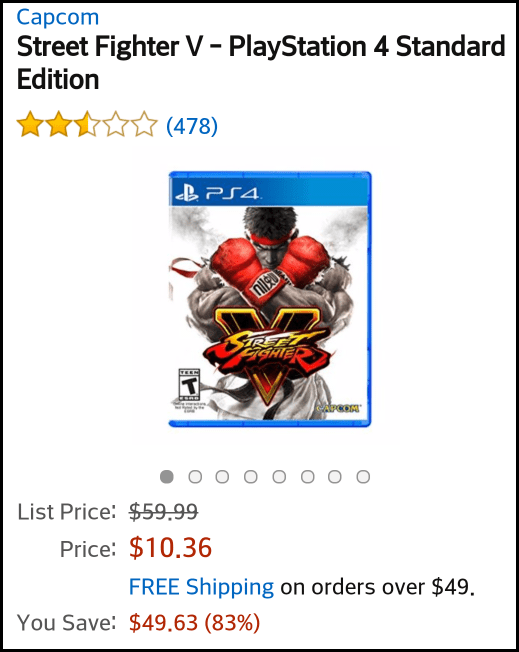 For a short time this morning (19th March 2016), the standard edition of Street Fighter V was available on PS4 for just $10.36. It may have simply been a misprice, or perhaps Amazon has a few too many copies of the game and they’re looking to get rid? I’ve been aware of the poor reviews the game has been getting, especially with regards to the online issues and seeming lack of content. Still, at this price I thought it was worth a punt. 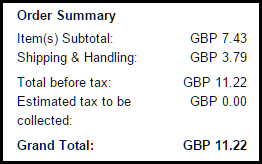 With shipping costs included, the total price came to £11.22. A decent saving over the RRP. At time of posting, the next cheapest was ShopTo at £29.85. One thing to note is that I won’t be able to purchase DLC on the UK PS Store. Being a US game, I’ll need to go through the US store should I wish to purchase anything. I’ll update this post once the game arrives and I’ve had a chance to play the game.